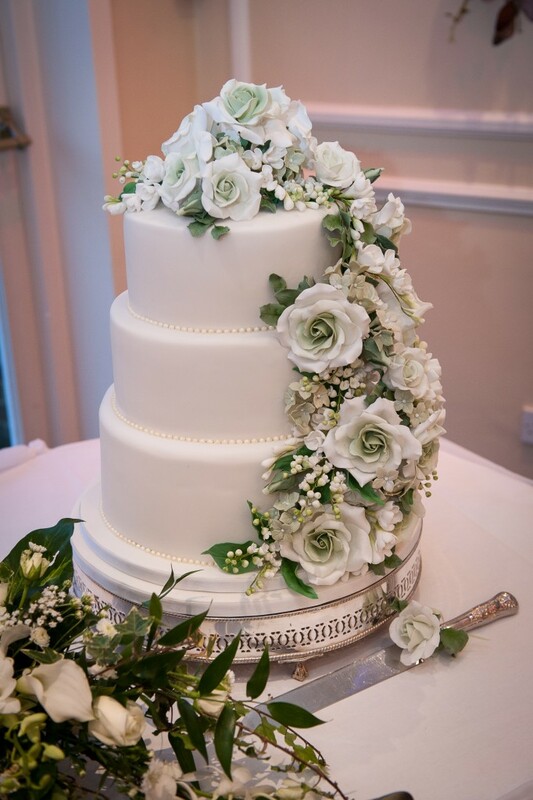 Three deep tiered wedding cake at Deans Place Hotel, Alfriston, Sussex. 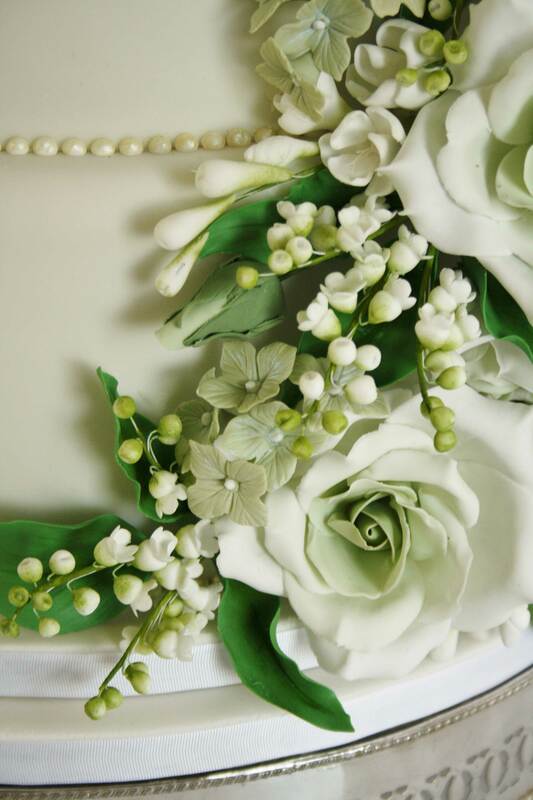 Iced in ivory, with cascade of wired sugar Roses, sugar Lily of the Valley, sugar Hydrangeas and sugar Freesias, sugar foliage and pearlised piped beading to each tier. Colouring from ivory, sage green and green variations. Cake serves 200 finger portions.